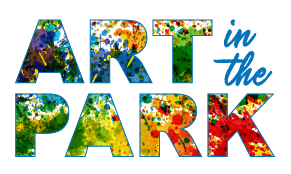 You are invited to submit your application for the first annual ART IN THE PARK Norwich Arts Festival taking place on June 23 & 24 in Norwich Vermont. We are looking for musicians, dancers, singing groups of all styles, theater groups and other performing artists. This year’s two-day event will feature: Fine Artists, Contemporary Crafts, Artist Demonstrations, Live Music and Performances, Kids Activities, Face Painting, Food, and a Unique Dining and Shopping Experience in and around the historic Norwich Green. This event is being coordinated by the Hanover Area Chamber of Commerce/Norwich Business Council. Norwich is in the heart of the “Upper Valley” and minutes from Dartmouth College and Hanover, NH. The ART IN THE PARK festival will draw from a local population of 21,000 that is highly educated, well-traveled and has high buying power. Application - Please email a video or recording of your performance to hacc@hanoverchamber.org or email a link to your video/recording. Weather – This is a rain or shine event! The Festival will not be canceled due to inclement weather with the exception of a state declared weather emergency. Preferred showtimes are decided on a first come, first served basis. 45 minute performances with 15 minute change up. 10 am to 3 pm on Saturday and 10 AM to 2 PM on Sunday. You may sell your merchandise during your performance. You provide your own table and display. This is a family-friendly event. Performances must be suitable for all ages (no swearing or rough language or acts).